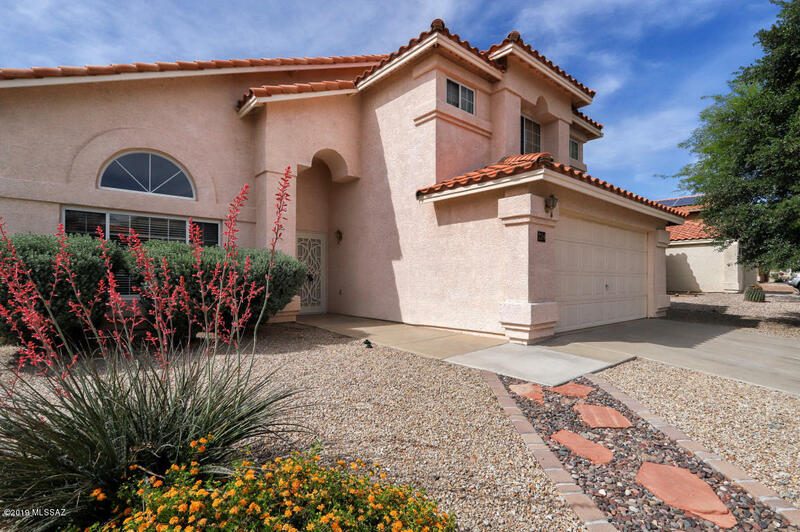 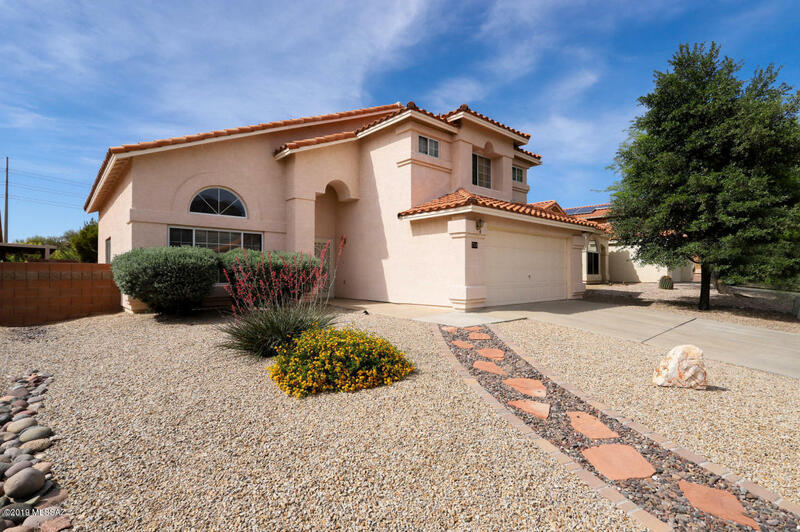 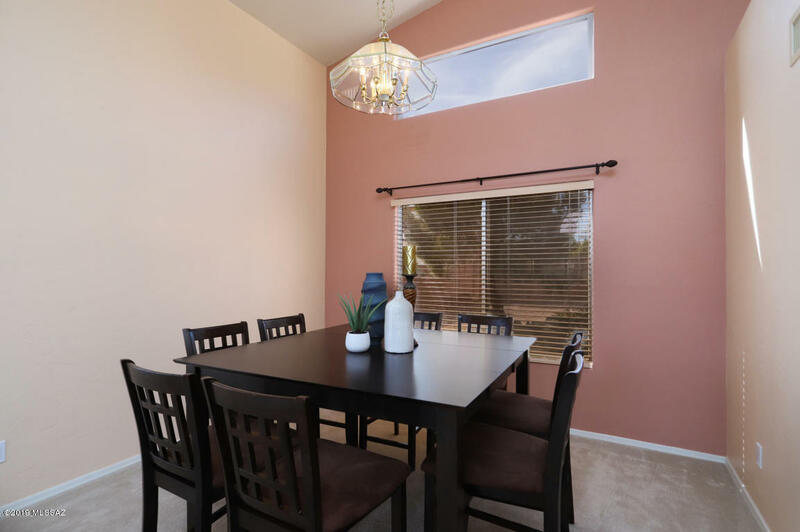 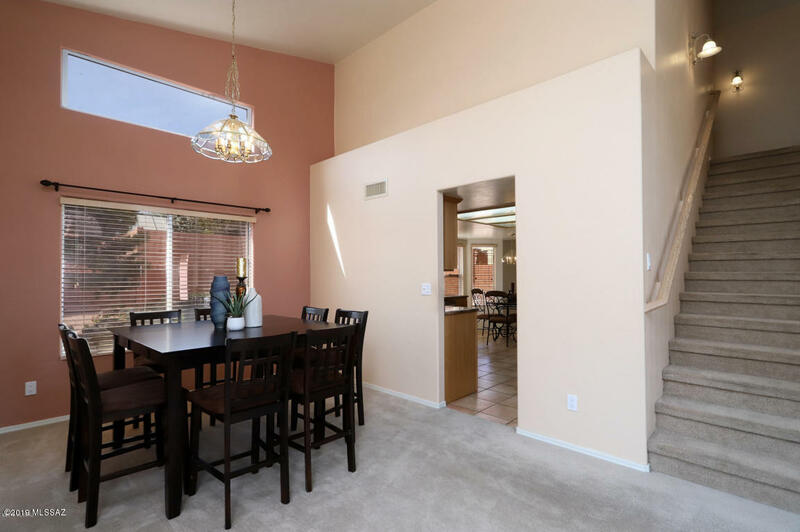 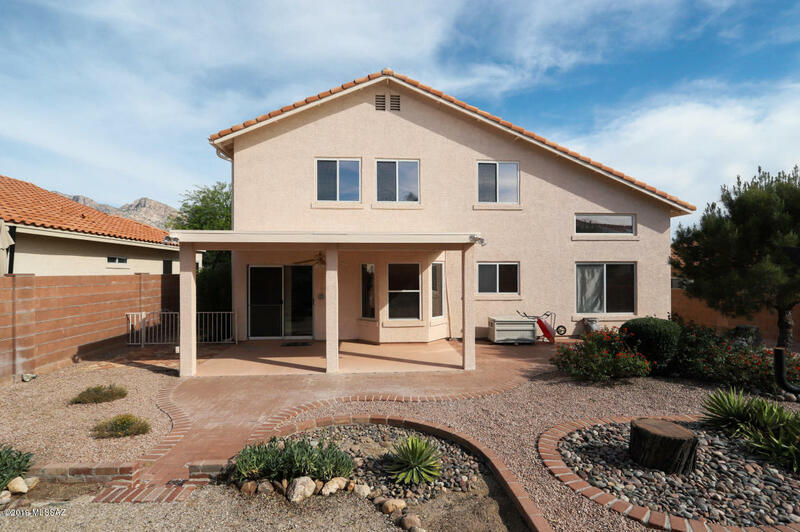 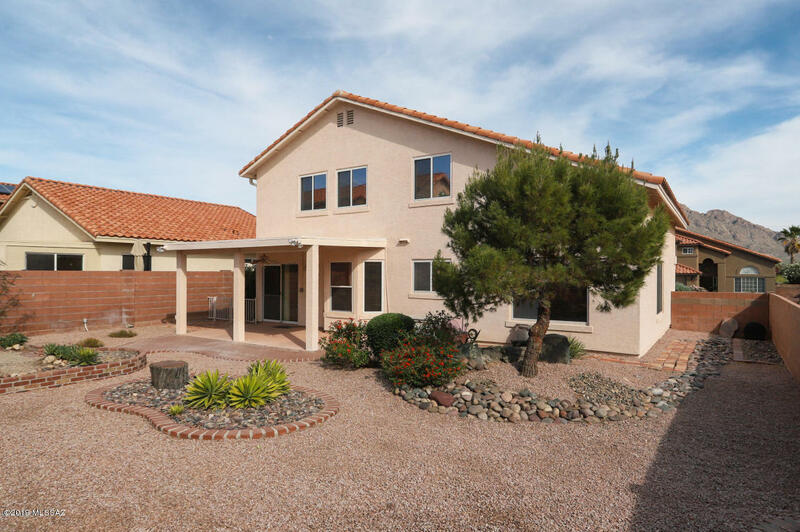 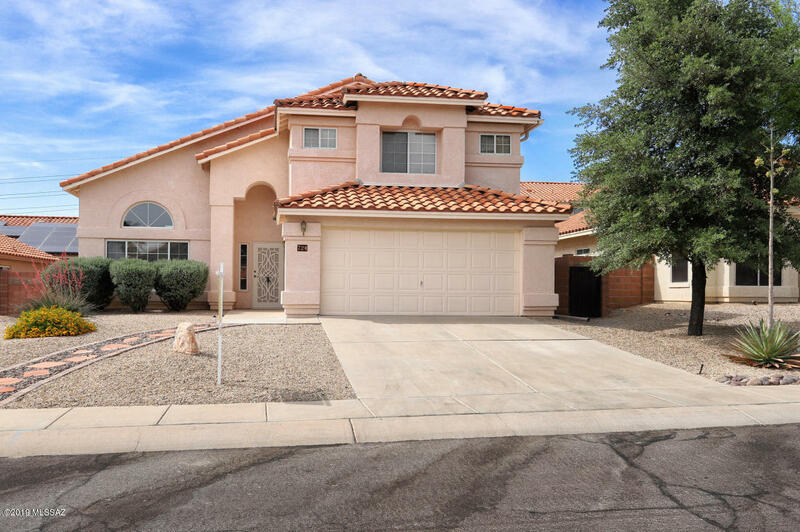 Wonderful neighborhood located in the heart of Oro Valley. 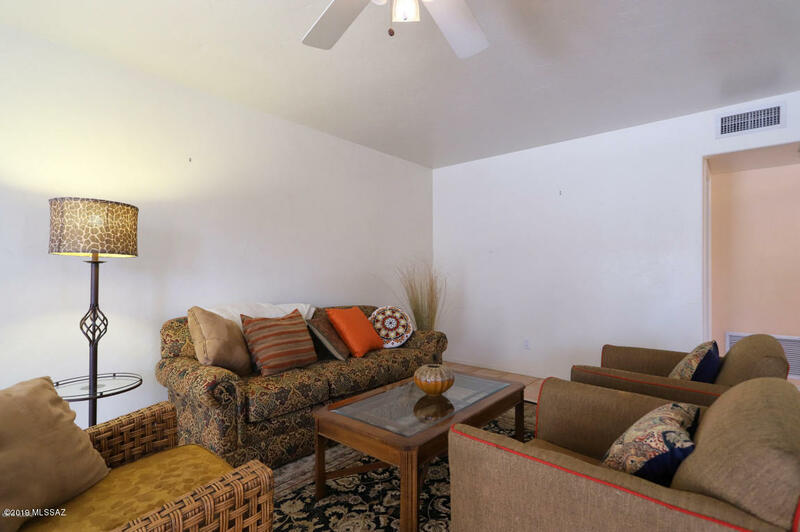 Situated a short walk from Riverfront park. 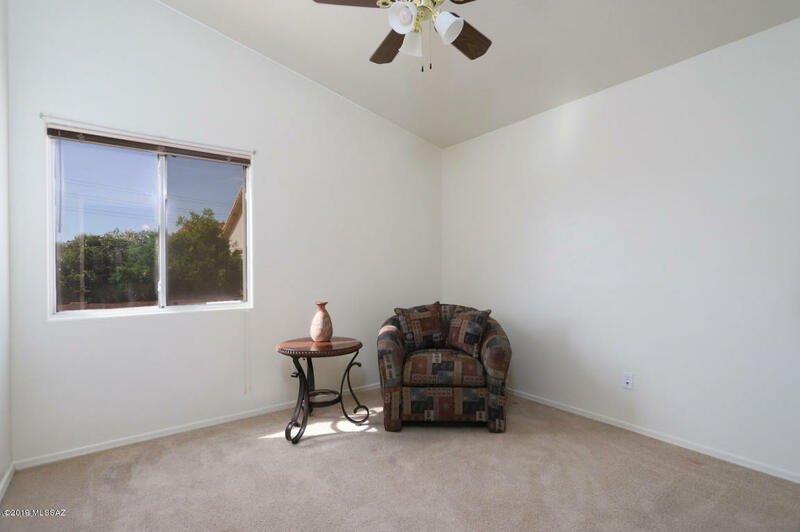 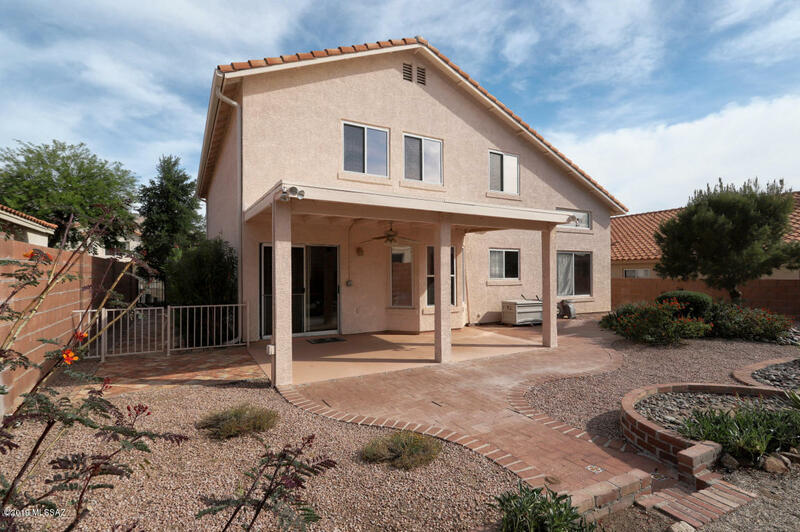 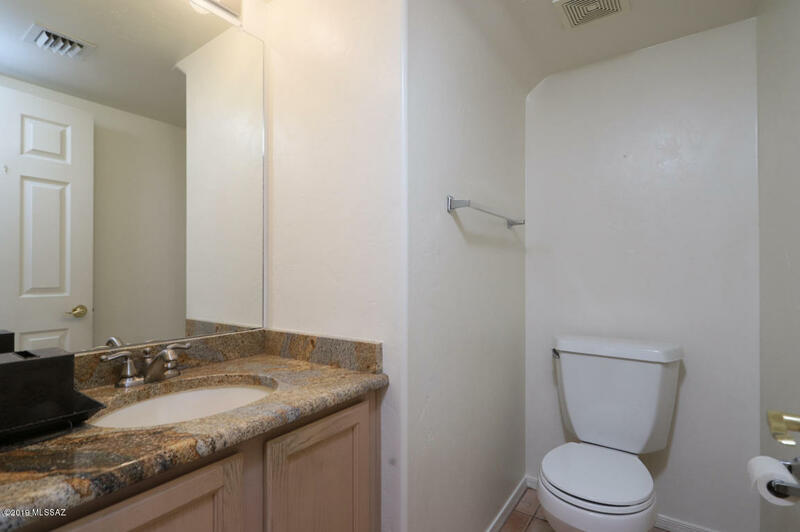 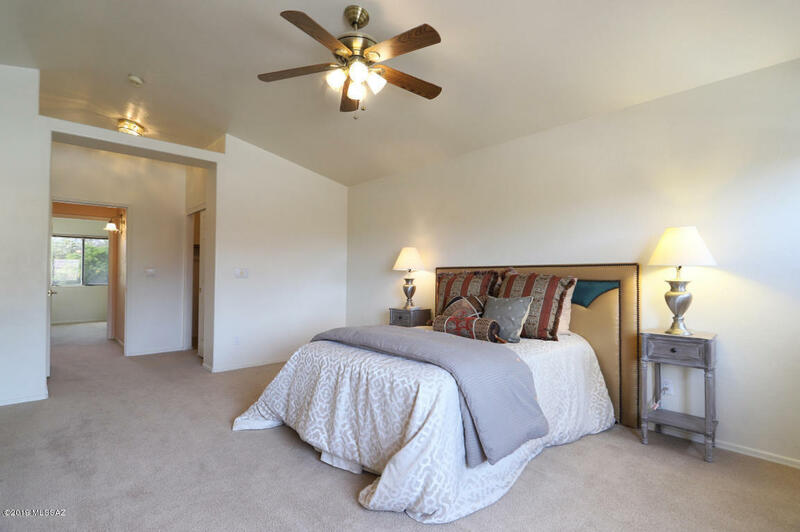 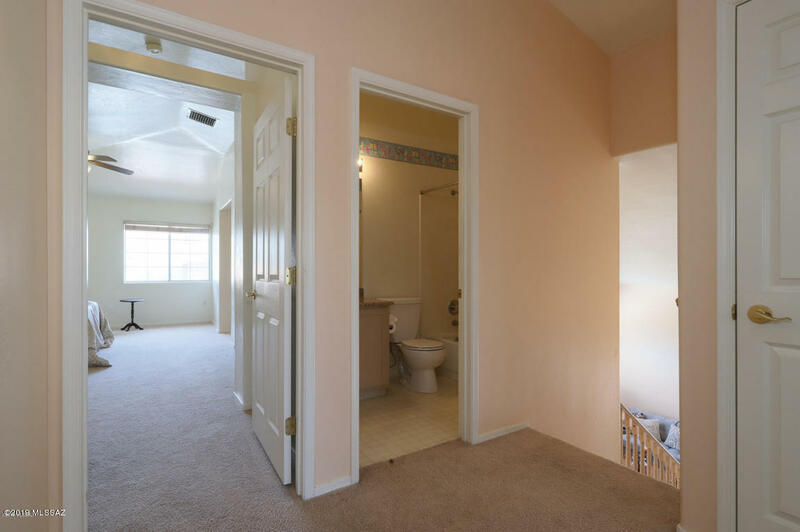 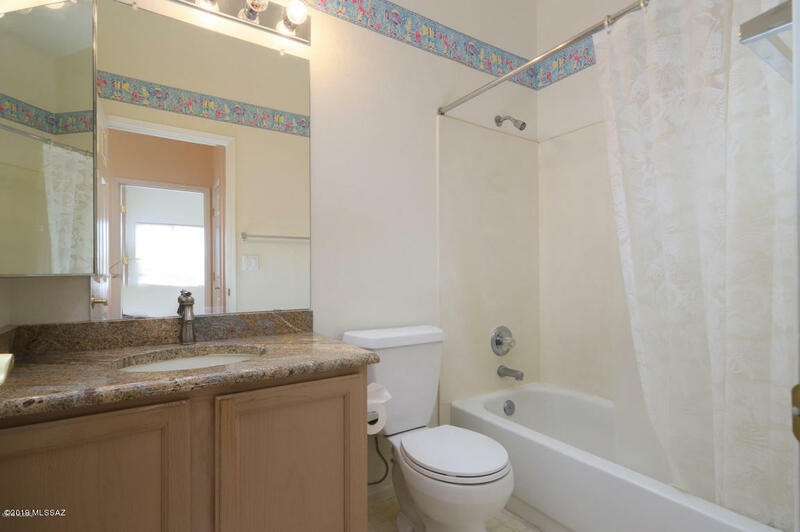 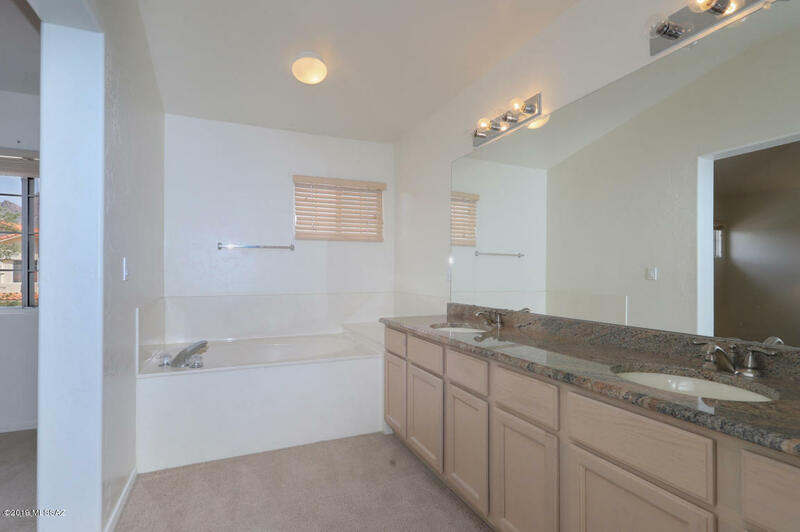 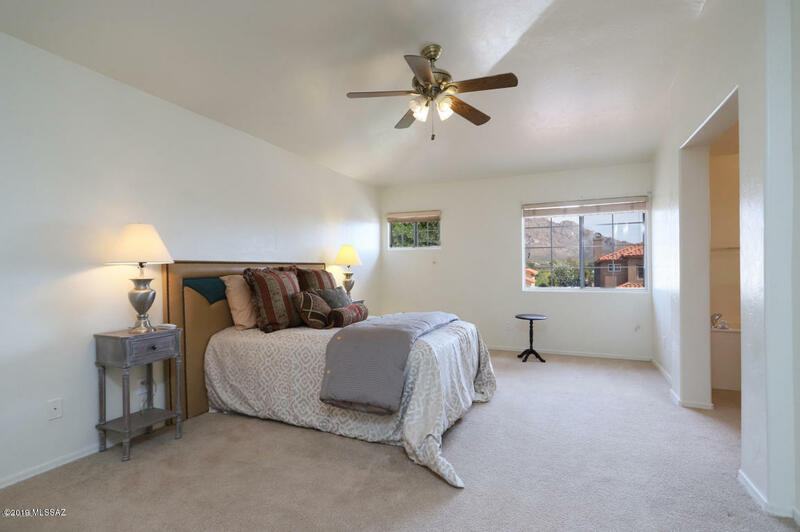 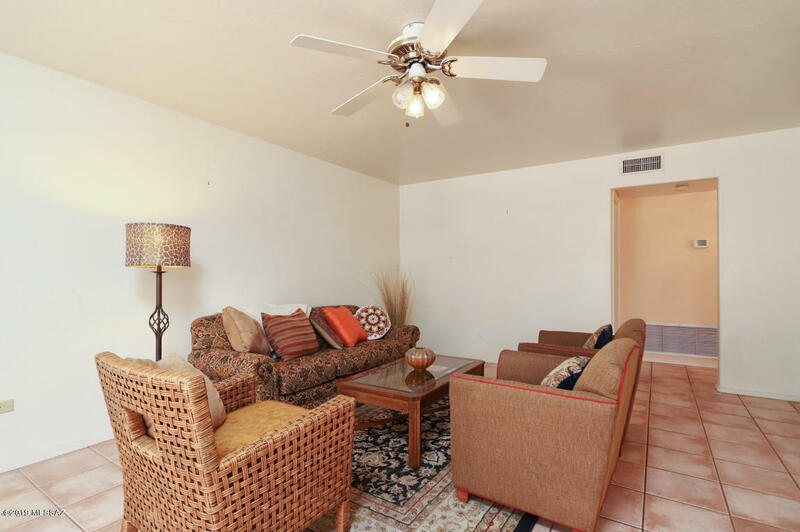 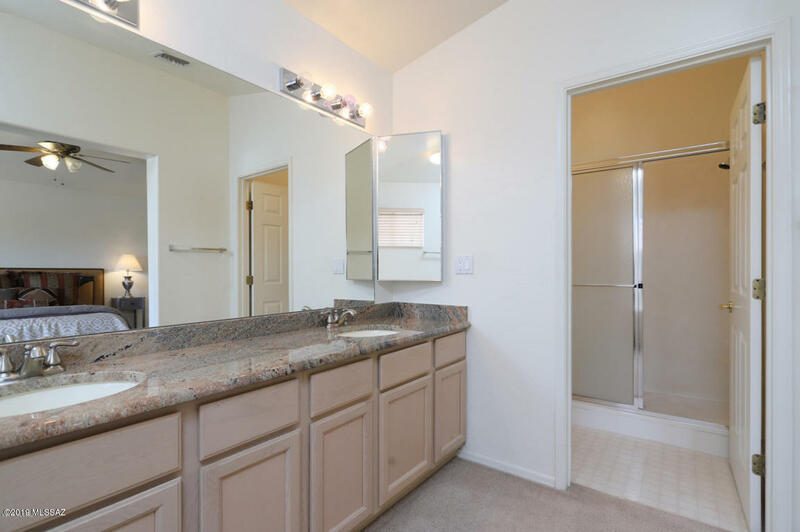 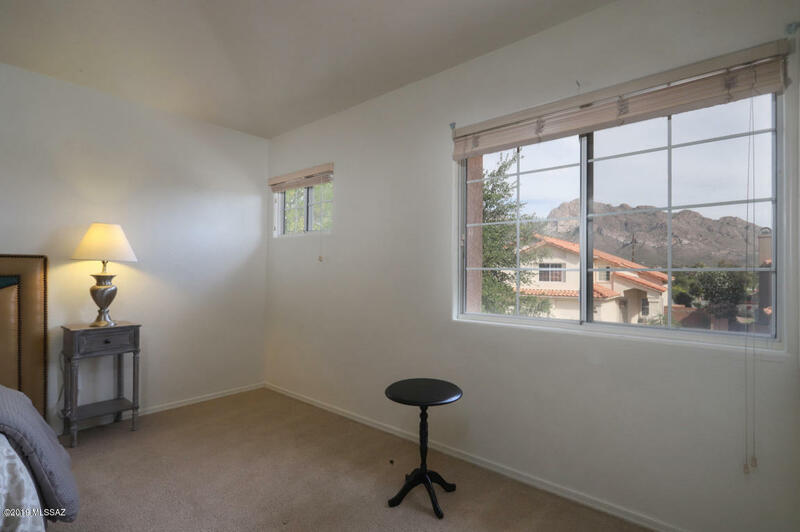 Master suite has lovely views of the Catalina Mountains, walk in shower& soaker tub. 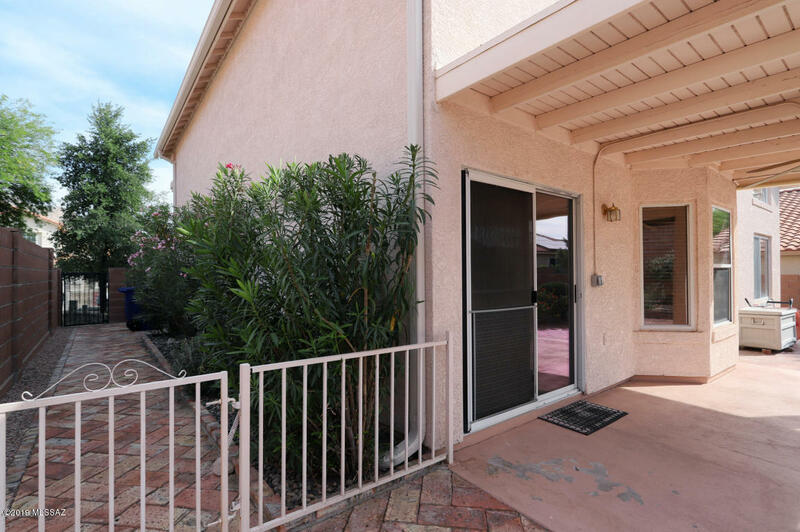 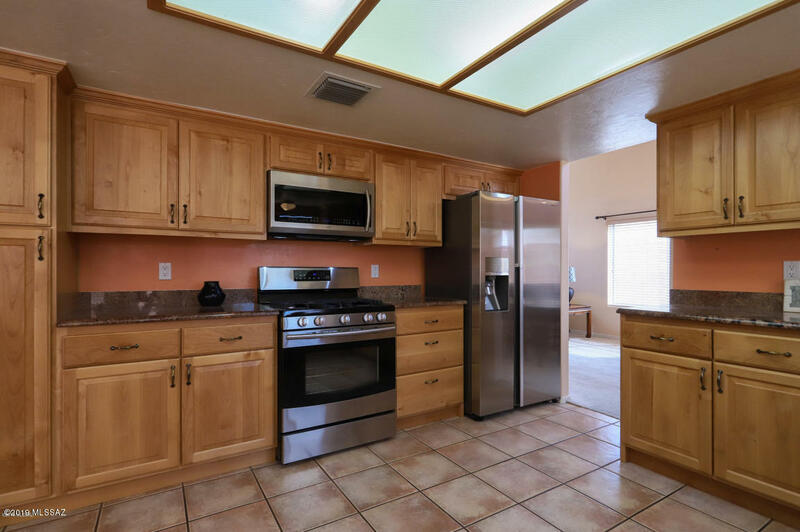 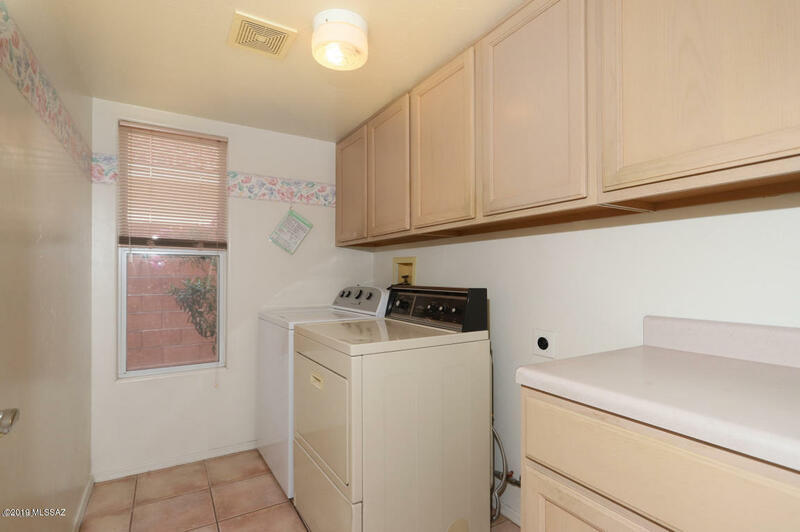 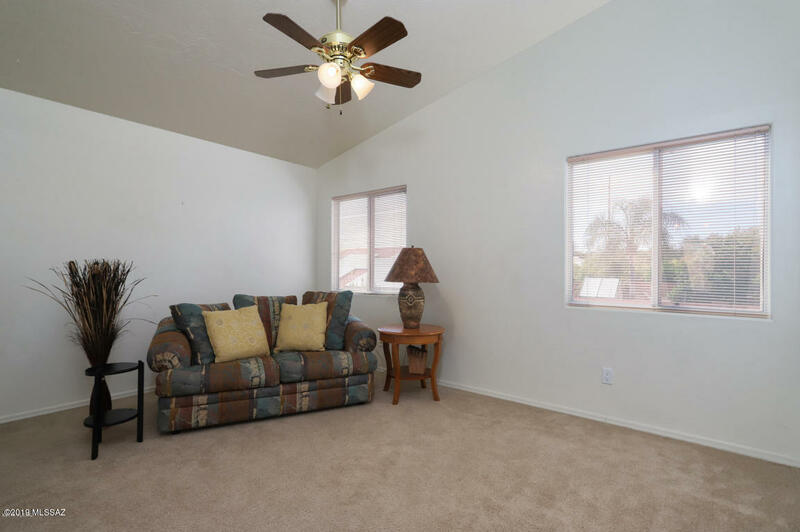 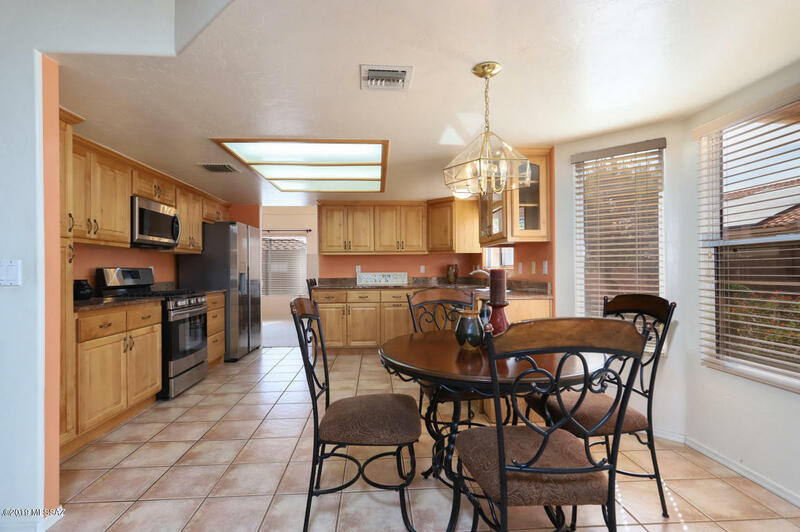 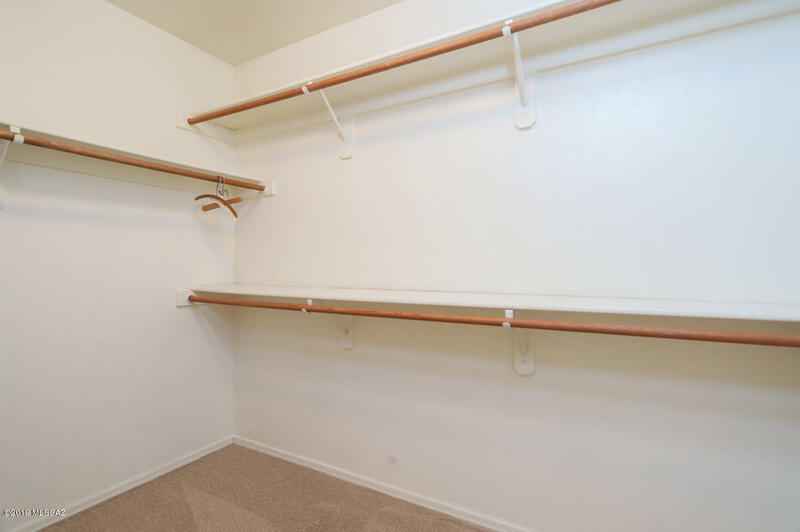 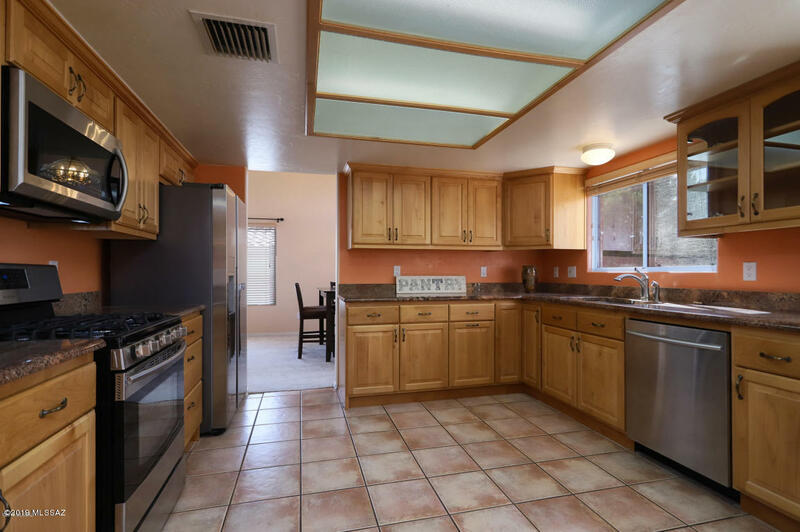 Kitchen features all updated cabinets, granite counter tops & SS Appliances. 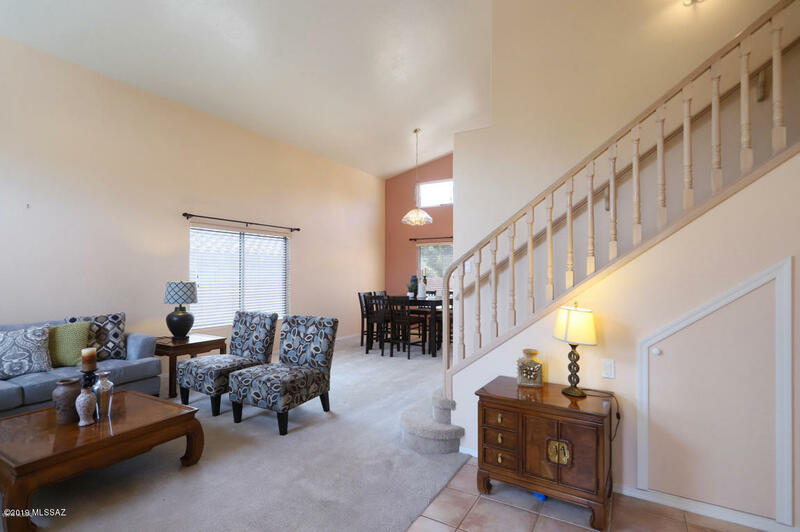 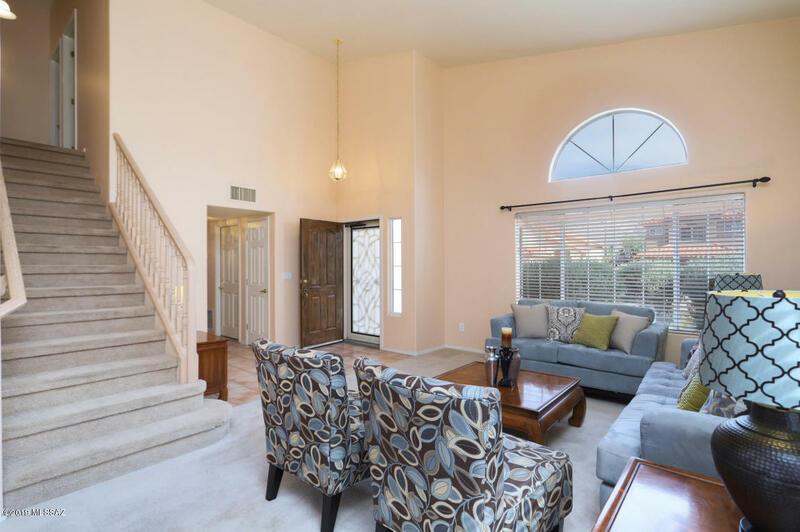 Great room open concept, dramatic high ceiling in foyer, Living room & dining room. 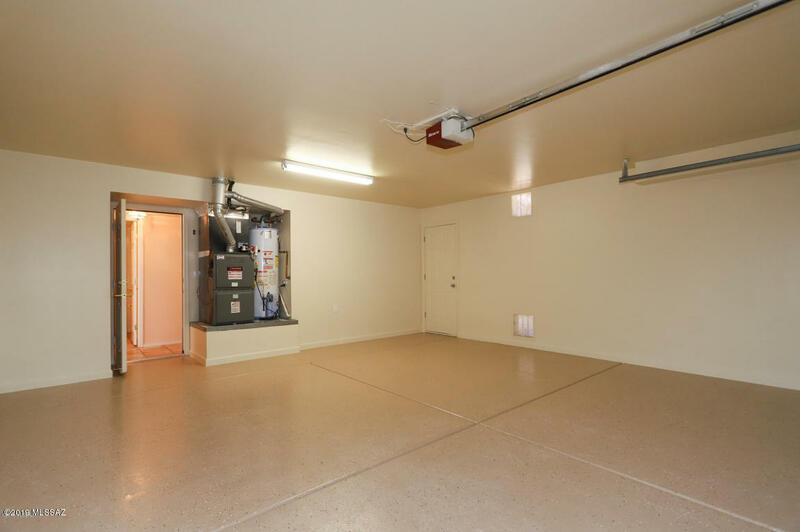 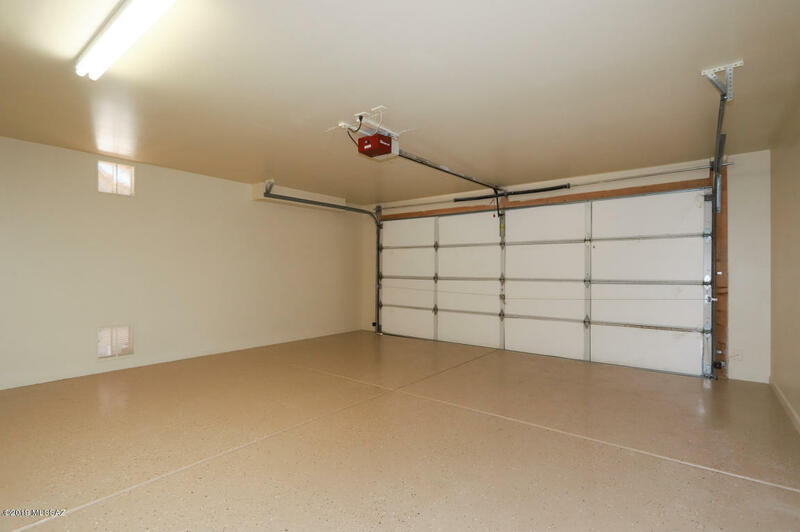 Garage has been recently painted add floor seal coated, walking,biking, and hiking all nearby. 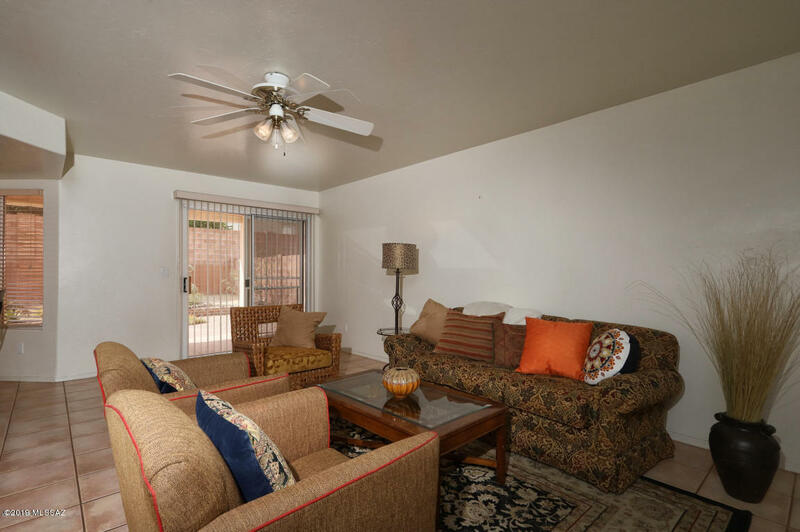 Close to great dining, shopping, medical & schools.